A card reader also reffered to as media card reader is a hardware and a data input device that let you write and reads data from a card-shaped storage medium. The first readers were punched card readers, which are able to read the paper or cardboard punched cards that were used during the first several decades of the computer industry to store information, details and programs for computer systems. 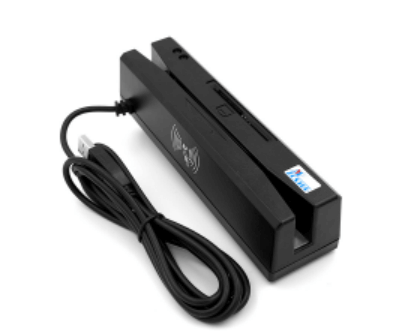 Modern card readers nowadays are electronic devices that can read plastic cards embedded with numerous functionality and capability either a barcode, magnetic strip, computer chip or another storage medium. A memory card reader is a device used for communication with a smart card or memory card, typically having a USB interface, for accessing the data on a memory card such as a Compact Flash (CF) which is a flash memory mass storage used mainly in protable electronic devices, Secure Digital (SD) is a non-volatile memory card format, or Multi Media Card (MMC) which is a memory card standard used for solid-state storage. 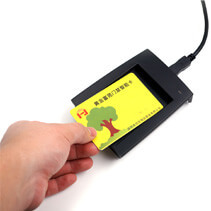 Most card readers also offer not only read ability but also a write capability, and together with the card, this can function as a pen drive.